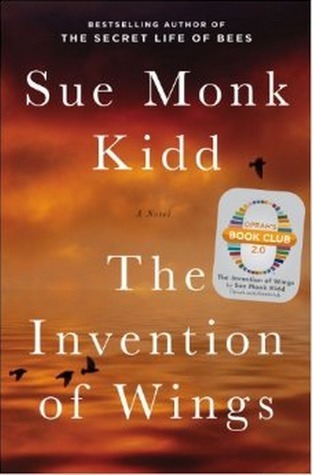 I just finished listening to the audiobook of An Invention of Wings (Sue Monk Kidd) on my commute this morning, so Thursday Quotables seemed like a perfect time to reflect on a few of the quotes that really caught my eye (or is it ears?). The first one that really struck me, actually came from the authors note at the end of the book, where she was discussing the development of the book, why she took the different liberties that she did with various parts of history etc. I think this quote caught my ear because it not only describes various parts of the book, but also fits well into the current climate in the US with the debate going on over the Confederate flag. I thought this quote would go well hand-in-hand with the one about all it takes for evil to succeed in that good men (or women) do nothing. Sarah Grimke could have been content to just let the status quo be when it came to slavery, but she knew in her heart (even from the age of 11) that it was wrong and it became her crusade to abolish it, in fact, this quote from early on in the book shows her abolitionist thoughts even then – “At the age of eleven, I owned a slave I couldn’t free.” I’d actually never heard of the Grimke sisters prior to listening to Invention of Wings but am intrigued and want to read more about them. The last quote that really caught my interest was from Angelina Grimke, who became known as a foremost female orator in the mid-1800’s. This quote occurred when the Grimke sisters were accused of muddling the cause of abolish with the cause of women’s right’s and that they needed to cease pushing for women’s equality for the time. I’m sure there were many more quotes in the book that I would have loved to have written down, but its really hard while listening to do that. 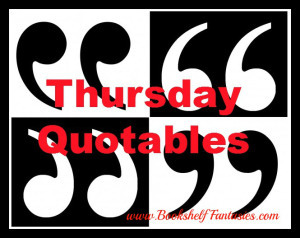 What about you – any quotes from your reading this week that you want to share?